The first time I met Jason Alvarez was on the set of BBC TV's Top Of The Pops show. 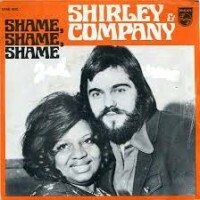 It was 1974 and I was there, as a journalist for Black Music magazine, to watch Shirley & Co lip sync their bubbly concoction "Shame, Shame, Shame". Prior to their flying in from New Jersey, I'd already discovered that the squeaky voiced Shirley was in fact Shirley Goodman who back in the '50s had recorded a rock 'n' roll classic "Let The Good Times Roll" as half of Shirley & Lee. The "& Co" was a big surprise though. The ferociously soulful half-screamed interjections Shirley's backing singer provided came not from an African American as expected but from a Cuban-born guy called Jesus. I don't remember much about the words we exchanged, I was pretty out of it on weed and he was pretty stoned on cocaine, but I did register that Jesus Alvarez was a great R&B singer and indeed he went on to record one or two things under his own name for Stang/All Platinum Records. 41 years later I had my second conversation with Jesus. Much has changed in both our lives. Mr Alvarez now uses the name Jason, is the pastor of an internationally respected church and down the years has released a stream of worship-orientated recordings with his latest set 'Time For Miracles' now getting enthusiastic reviews. I began our talk by asking whether Jason considered himself a pastor, a musician or a worship leader? He responded, "Honestly, I believe that your life is your ministry. I love music, but more importantly I love God, and I love people. I love music and I love life; God has been so good to me that I'm just overwhelmed. I don't really go by titles. When they asked me who I am: 'I'm Jason Alvarez'. What do I do? 'I love God, I love people, I love music, I love life; God has been good to me.' If I'm pastoring, then I pastor; if I'm preaching, then I preach; if I'm ministering, I just sing and grab my guitar, start worshipping. I just love it: I'm really enjoying life, immensely. It's amazing, it's just beautiful. I don't put one before the other. As it comes, during that moment, that's what I flow in. Like Paul said, I'm all things to all men: I'm just flowing all the time. If I need to say something to someone - lift someone by just saying a word to them - that's what I do. Like the Bible says, 'Speaking a word in season to a person that may be weary', that's what I do. Sometimes I just grab my guitar and I'll sense the flow to just worship, or do a song that'll impact somebody. That's where I am now." He was born in Havana, Cuba and grew up during the turbulence of the '50s when Fidel Castro was engaged in driving Cuban President-turned-dictator Fulgencio Batista from power. When Castro finally succeeded in February 1959 Jason and his family were caught up in the turmoil. Jason's mother pulled her son out of a church during mass where he was serving as an altar boy and ran with him to the American Embassy. Mother and son managed to catch a freedom flight to the USA. In the US they tried to forge a new life. Said Alvarez, "My music career actually began when I was caught stealing. My mother wanted me to get involved with something so I wouldn't spend all my time on the streets. My parents got me a guitar." His family had joined relatives in the slums of Newark, New Jersey. For 10 years Jason played club dates with his band Brother To Brother. He met his wife, Gale, during that time. The Alvarezes finally escaped the New Jersey slum when Jason got a Brother To Brother demo to Sylvia and Joe Robinson, who were running a successful R&B label with several imprints. Brother To Brother's "In The Bottle" was recorded and released on the Turbo label, becoming a hit. Then came the "Shame, Shame, Shame" hit which came about almost by accident. "We really were ahead of the curve and it was definitely a pioneering moment, starting with that drum beat which was so simple, but definitely an innovator for sure the way it was combined with Shirley's high voice and me screaming my brains out," laughed Alvarez. The singer who was meant to contribute the vocal interjections to Shirley's shrill lead vocal was Hank Ballard, who had been a major hitmaker in the '50s and '60s and amongst many other things the originator of the twist but though signed to All Platinum was well past his best. Remembered Alvarez, "Sylvia was the producer; she looked at me and said, 'This guy can't sing no more, he's too old. Go in there and shout a little bit.' I was stoned out of my mind. Shirley started singing, then I started screaming and shouting, having a good time. You could look through the glass, and they're going crazy in there. I said, 'Okay, let me do it now', and she said, 'No! That was a perfect take!' But my life was changed as a result of that track: I began to travel and even got to the UK." In Britain Alvarez met with songwriter Scott English. Reminisced Alvarez, "Scott's 'Brandy' was number two on the charts. We were sitting in a penthouse in London, smoking a joint on the floor; we were passing it back and forth, and he made a statement that changed my life. He said, 'Is this all there is to life?' That was the greatest impact of that era for me, because it made me begin to think. That began the search for whatever I thought music and success would bring to me that it didn't. As a result of that statement, I feel with all my heart that Jesus began to supernaturally orchestrate my steps. I came back to the States and I got so miserable that I got into a scuffle with a man that owned this studio called House Of Music that had made many hits. I said, 'I'm going to come over and kill you'. Even though the man was innocent and the business problem was really mine, my friends expected me to carry through on the threat." Hugely depressed, financially stretched through unwisely signing draconian record contracts and with his wife having left him, Alvarez decided to take his own life. "I bought a pound of opium; I said, 'I'm going to smoke myself into oblivion - until I can't open my eyes again.' This is a true story. Me and my wife got separated during this time; I was in this place and I met a girl. She was a backsliding Pentecostal, and she began to tell me about Jesus. God began to work it and orchestrate this thing. Six months from that time, I wound up giving my life to the Lord." Pivotal in Jason's conversion was Gail, who had become a believer after a friend at her work began to witness to her. Jason began to see her again. He remembered, "She began to minister to me and I even read one of her Christian books. I joined her at church one Thursday night and saw people praising God and this guy preaching seemed to talk directly to me. I received Jesus Christ that Sunday and I've been serving him ever since. I knew when I met Bill Cole (Light A&R vice president) and we discussed an album it was in God's perfect plan." The album the one-time R&B hitmaker recorded with Light Records was 'Just Give Me Jesus' and featured original songs in both English and Spanish performed in disco-influenced R&B with heavy Latin leanings. It was produced by Bill Maxwell. For a moment it seemed God was opening doors in the burgeoning CCM world but an incident occurred which proved to be profoundly disillusioning for Jason. "My wife had flown to LA and Bill asked me and my wife, 'Would you like to see this new group Koinonia? They're going to unveil their album.' So we went - it was supposedly a Christian nightclub in Hollywood; Bill says to me, 'Andrae Crouch is here.' I said, 'Man, I love that guy: he's one of my heroes in the Christian music world. I would love to meet him.' So we go to meet Andrae Crouch; Bill pats him on the shoulder, and when Andrae turns, he is blown out of his mind - so stoned. I was so shaken by this. Here I am, really trying to walk with God, and I thought everybody that got saved loved God, was straight, whatever. I looked at this guy and I thought to myself, 'If this is what getting back into music is going to do for me, I'm outta here.' I went back to my hotel room, I wept and wept. I'll never forget that night. I told my wife, 'If this is what getting back into music is going to do, I don't want it: I want to go on with God.' That's when I began to travel with R W Schambach, one of the greatest evangelists in the history of the United States. Talk about miracles - real miracles. Then I began to travel with Nicky Cruz. I would preach in the daytime and do music for them at night time. I had a vision that I should start a church and start pastoring: God gave me a word to go and pastor, so I started pastoring. A very wealthy man walked into our church one night - we only had like 12 people - and he wound up giving me the money to buy this amazing building, an old church." Alvarez is still the pastor of that church, The Love of Jesus Family Church 27 years later. He explained, "For a season I stopped doing music and just worshipped. Then one Wednesday we had Phil Driscoll coming to my church to do a concert. While Phil was there I'm on my face interceding for the meeting. This place was just drug-infested when I first moved there; at that time, it was just crazy. I'm crying out to God to save people, move in this place, and Phil begins to say, 'I have a word for Pastor Alvarez.' They found me in the back, brought me to the platform - they don't know nothing; he says, 'It's time for you to get back into music. Even though you were disappointed, God's going to bring restoration.' That's how I got back into doing albums." In 1989 Jason released the independent album 'The Lord Is A Man Of War' and two years later 'No Turning Back'. Over the next couple of decades the preacher continued to occasionally release albums including 2003's 'His Unfailing Love', 2009's live worship project 'All Yours' and 2012's 'Pure Worship'. Three years ago the singing pastor made a pivotal album, 'Intimacy Between Two: Just You And God'. He explained, "I just went into the studio and worshipped and did some old songs. I did a song that was written 50 years ago by Reba Rambo, 'Mighty King', just did a bunch of songs." His new album, 'Time For Miracles', came out of an even more intimate time of worship. He explained, "We have Sunday night services - we have really wonderful Sunday night services - and we always have somebody from another ministry round the world come and minister Sunday nights: I bring people in from the Five Fold. I'm here, I'm doing this thing, and seven out of the eight songs on the album fell on me on a Sunday night: it was birthed by the Spirit. 'Miracles', 'Everlasting Love', 'Let Thy Kingdom' - it was crazy. I said, 'I've gotta take these songs and go in the studio'. I got some excellent players, and I really love the album. I felt it was really born by the breath of God." 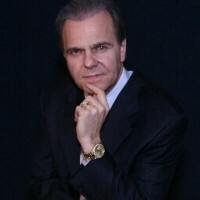 One of the "excellent" players can be heard on the extraordinary piano work featured on 'Time For Miracles''s "Magnificent" track. Jason explained how his church came to have such a top rate keyboards man. "I had a guy years ago that was amazing, but he had a bad spirit. I had to make a decision between this amazing player and this young guy that had a beautiful spirit and was willing to learn. My wife said, 'Go with this young guy. Train him, love him, let him grow.' His name is Abdias, which in Spanish means Obadiah. This guy has grown; his spirit is so beautiful. When we record, or when we play, I always look to him and say, 'I want your spirit on this thing. Don't be trying to get fancy, just give me your spirit.' He's a breath of fresh air. He co-produced the album with me. He's beautiful - all of them - but this kid is just a beautiful young man." A guest on the project is Jamaican Osmond Collins who when he was based in the UK featured on a series of best-selling reggae worship albums, 'Reggae Sunday Service'. Said Pastor Alvarez, "Osmond started coming to my church with his family. We began to talk a little bit, and now he is my worship leader. I'm training him in the things of God, because he has an amazing voice, but he has not yet tapped into the anointing that is available to him. He is getting better and better; I am getting ready to go into the studio and do two singles with him, then gather some of his own material and make an album out of it." Another guest on the project is Kory-O, who is currently a member of the Sugar Hill Gang, the pioneering rap group discovered by All Platinum's Sylvia Robinson. Explained Alvarez, "After Sugar Hill made their hits, something went down with the group and they put Kory-O in. Now that the lead singer died, Kory-O is back with them. He's doing tours with them - matter of fact, he's going to Texas today. He comes to my church too, so we have this crazy group of people that love God and love music and love people - it's crazy." I told Jason that my two favourite songs on 'Time For Miracles' are "Magnificent" and "Everlasting Love". Jason recounted the genesis of "Magnificent". "I was out to dinner with my wife and some other friends. Somebody said to me, 'You know Darlene Zschech from Hillsong has been battling cancer?' I was shocked. You would think this person is on top of the world; I never knew she was in a battle with cancer. In the Sunday night service we had a guy there, his name's Barry Keller; he's very prophetic, he's awesome. I'm ready to introduce this guy and the Holy Ghost falls on me. I ask the church, 'Did you know Darlene Zschech is battling cancer? Let's pray for her. I feel that's what the Holy Ghost wants us to do: I learned about this so we can intercede for her.' So we begin to pray. Do you know what happened? The Holy Ghost responded by falling on us, and I began to sing, 'You are so beautiful; you are magnificent' - just supernaturally - and out of nowhere, praise broke out. I felt it was a note of victory. We went into that fast part, and we began to dance all over the place; so that's how that was birthed - incredible." Equally powerful is the haunting ballad "Everlasting Love". He admitted, "That's got to be my favourite too. I want to release that now as a single. I have just edited it to be released as a single. I didn't cut a lot out - just a little bit. I love that song. I've been going to Paris to minister there at Pastor Raj's church. He's an Indian pastor; he has the largest church in all of France. He just went home to be with the Lord. He was my best friend; I ordained his wife, installed her as the pastor of the church, and the church has doubled - thousands upon thousands. I go there every year, in October. This year I wanted to go to the UK. I was there 25 years ago when Michael Bassett was the pastor of the Victory Church in Hampstead. I said to one of my guys, 'I would love to go to Paris and shoot out to the UK, maybe visit a church, do something.' It's really funny when they told me we were doing an interview; I thought, 'Man, that would be so amazing,' because I felt there were some real pockets of glory in the UK. It's wonderful to be able to speak to you, and to get the music out there. The album is really great, it just needs to be heard. It's going to impact people: there's a song for everyone on that album." Love Jay and Gale. A big influence in my life. Great article on Pastor Jason. I've been attending his church since 1991. Love his ministry and family. Very straight forward man of God. Just a "real" person.